Whether your Lenovo laptop is a high performance ThinkPad or the consumer-oriented IdeaPad, when it is broken your day is badly disrupted. You simply cannot get work done efficiently until your Lenovo is repaired. At Computer Answers, we specialize in getting your laptop’s problem diagnosed and back up and running quickly. There have been several known issues with Lenovo laptops and you can be sure that Computer Answers has repaired all of them. Perhaps your laptop still has the Superfish adware installed that creates a potential for a severe security breach. We will remove it for you. Similarly, some IdeaPads have been known to start up on their own, draining battery life. Computer Answers has repaired those as well. Why Choose Us For Your Lenovo Laptop Repair? Even if your Lenovo problem is not as unusual as those two, whether it is a cracked screen or a simple battery replacement, Computer Answers can help. We have five locations, in the Albany/Schenectady area as well as Brooklyn. You are always welcome to walk in to any of those with your laptop. You can also just call us Toll Free at 866-488-2806 or use our Contact Form. Describe your problem. We can arrange shipping for your laptop if you can’t come in. We can even send a technician who is expert in Lenovo repairs to your home or office. 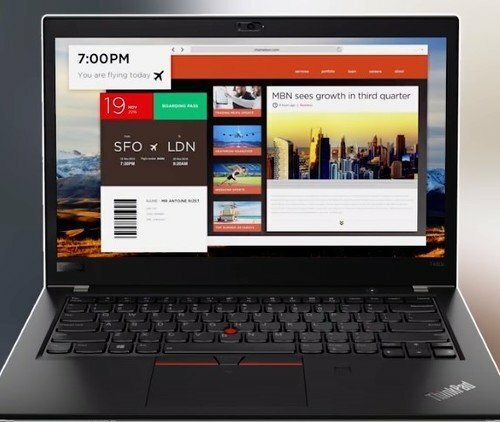 Whether you are having a problem with your Lenovo laptop, or if you want to avoid having a problem with it, either walk in with it to Computer Answers or arrange a time for an appointment. Either way, we will perform a thorough Diagnostic on both its hardware and software for free, every time you feel the need. Whether the glass on your Lenovo laptop has become scratched or broken, Computer Answers can either repair or replace the damaged part while you wait. That’s any size, any time. Although it is protected by glass and within the laptop’s casing, your Lenovo’s LCD display can lose resolution and become streaked or muddied. At Computer Answers we have seen this problem and we will replace the LCD panel quickly and properly. Any device connected to the internet is open to attack by viruses and spyware, or other forms of malware. If your Lenovo has dangerous programs lurking inside we wil remove them and install the latest, best security software. If your Lenovo has become exposed to fluid, any fluid – bring it to us immediately. Remove the battery and do not turn it on. The mixture of electricity and water can do nothing but make the damage worse. In a worst case scenario, when your Lenovo has become so badly damaged that the actual hard drive has become chipped, scratched or even unreadable, Computer Answers can recover your vital files. We have achieved a phenomenal 98% success rate in data recovery.